The following flow meters type RM/145-2 are devices for the supply of medical gases with two meters particularly suitable in respiratory therapy. 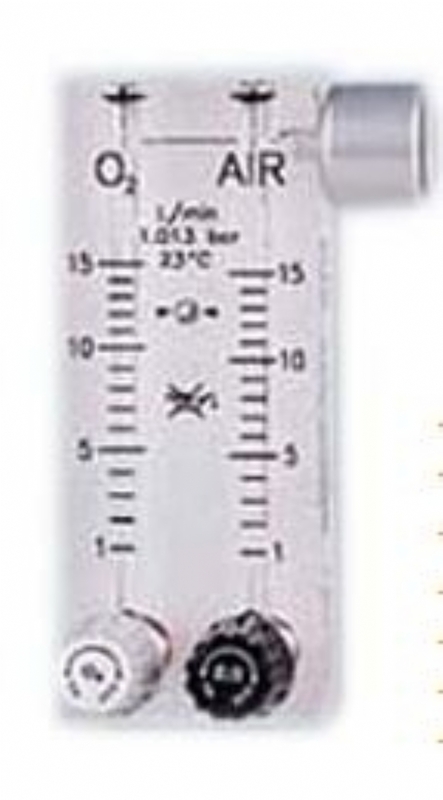 The measuring cones are built directly into the PMMA body and the inlet connections at the bottom of the flow meter are arranged in such a way that they can be connected to the main hospital circuit supplying gases to centralized feeders or to the cylinders complete with pressure regulators. At the outlet of the dosage unit, an anaesthesia evaporator (only for veterinary use) can be connected or the gas mixture can be supplied directly to the patient through the gas feeding unit.